Don't you want him to come live in your flower garden? 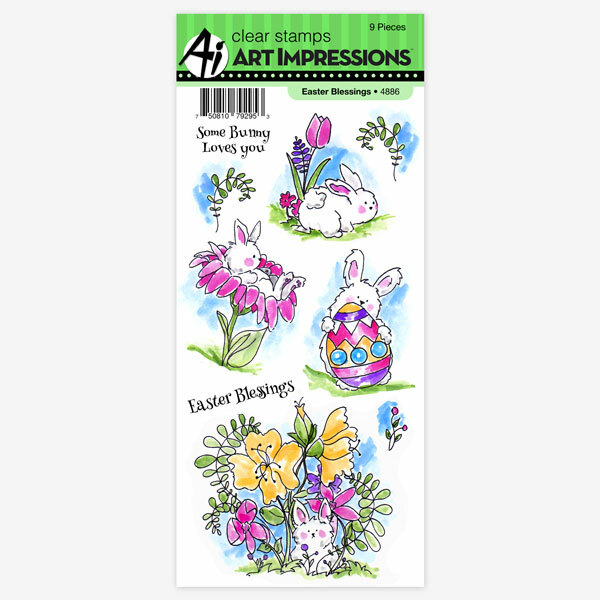 This sweetie is another creation from the Art Impressions new clear stamp set, Easter Blessings. I used my Prismas for this one. Beautiful coloring Tracy! WOW. So cute. 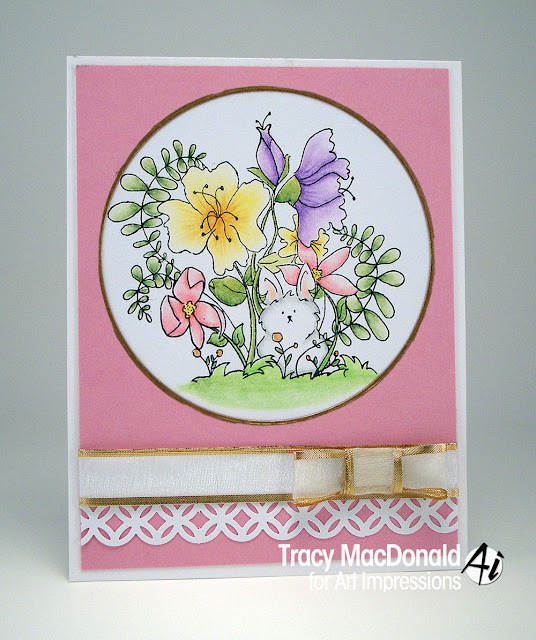 Love this little garden bunny scene, and love your big bow, too! So adorable! 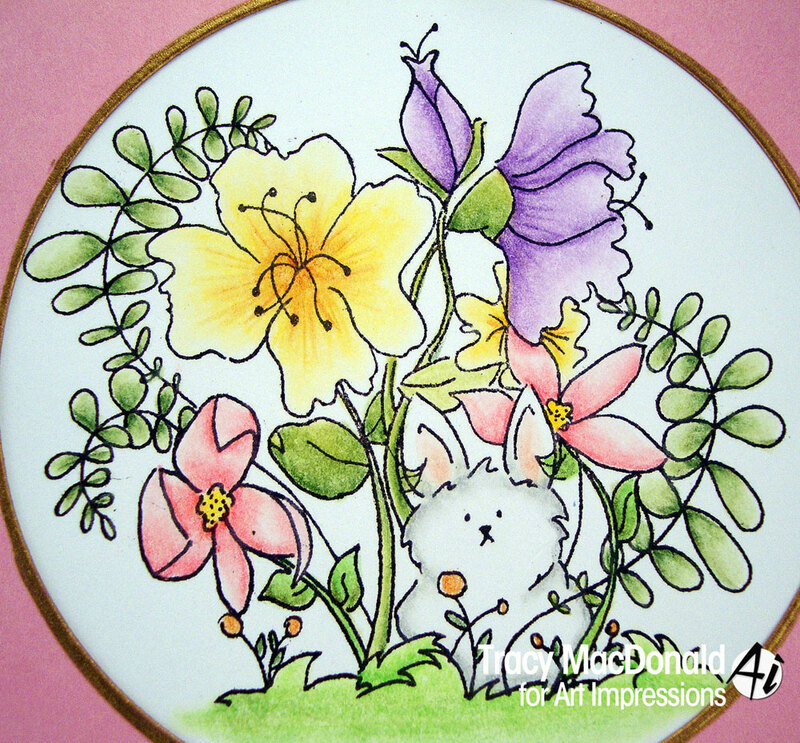 Oh this is so soft and gorgeous! Love it!